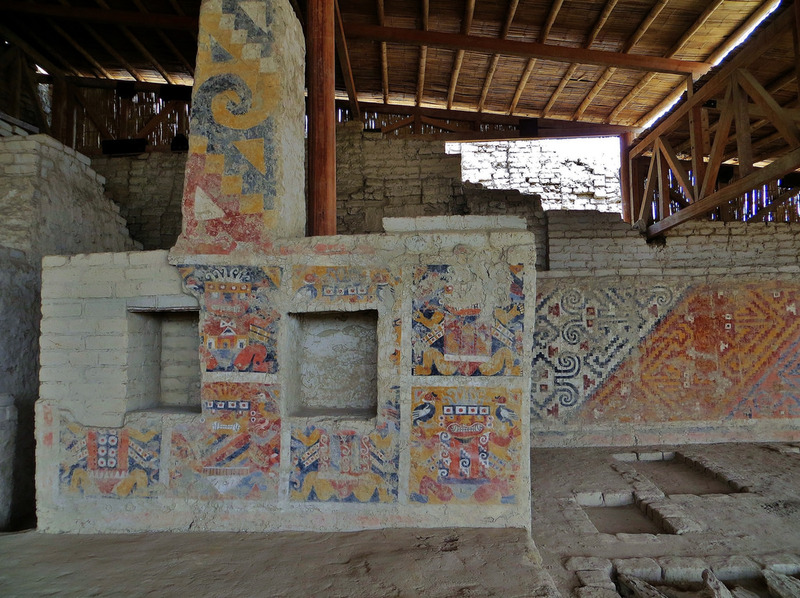 One of the most important archeological sites in the northern coastal region of Peru is the El Brujo (“The Wizard”) archeological complex. 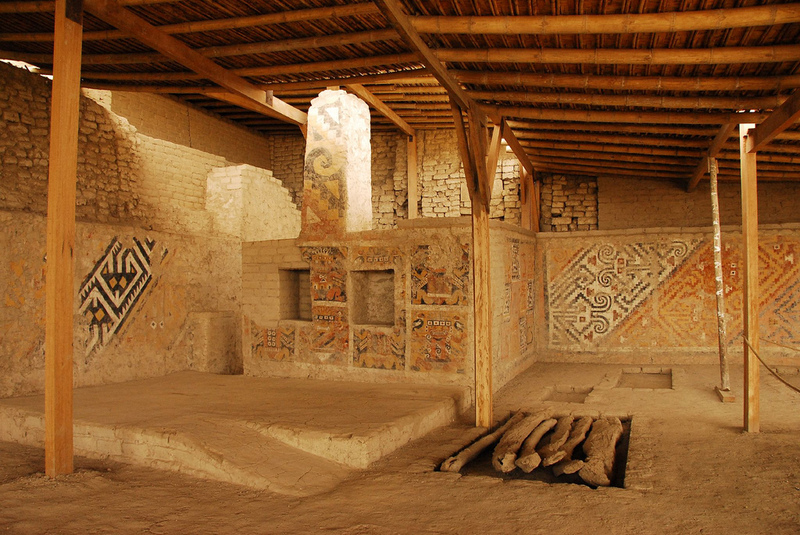 The part of the complex known as Huaca Prieta was occupied as early as 4700 BC, and the area continued to be inhabited through to the time of the Chimu culture (1100–1470 AD). 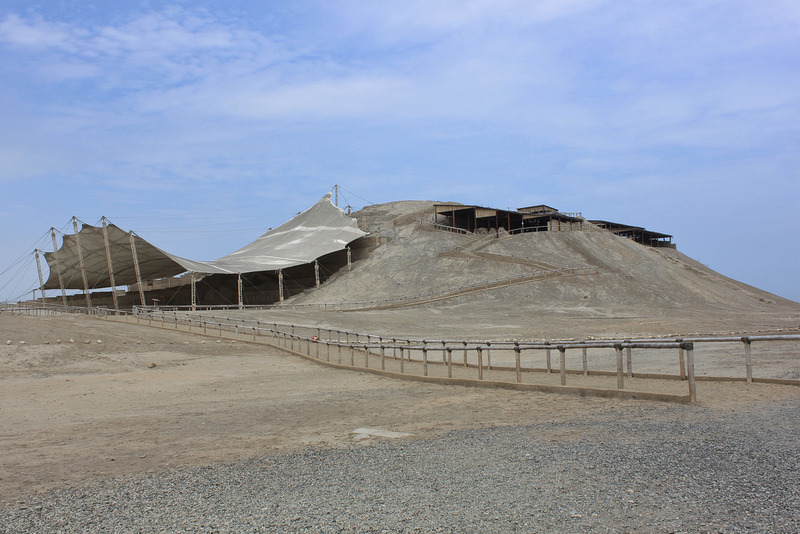 The two largest structures on the site, the Huaca El Brujo and and Huaca Cao Viejo pyramids, were built by the Moche culture (100–700 AD). 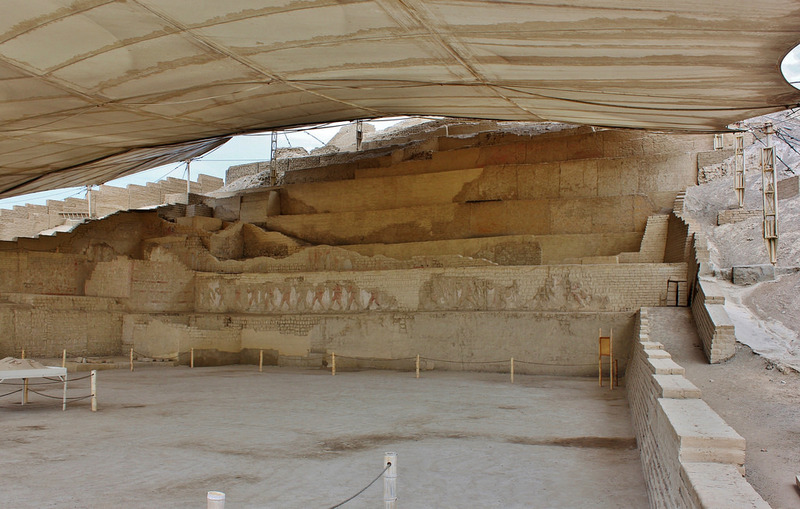 The partially excavated Huaca Cao Viejo pyramid is shown below. 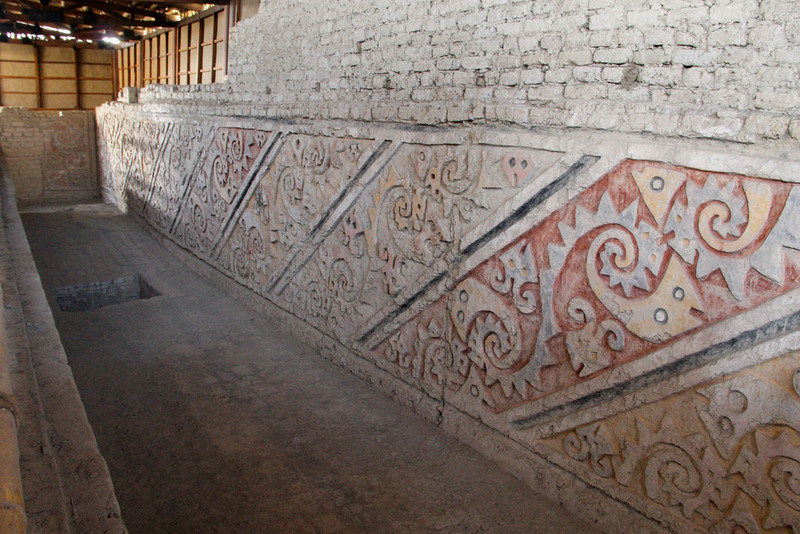 This pyramid featured spectacular polychrome friezes, like the one below with abstract depictions of sea life. 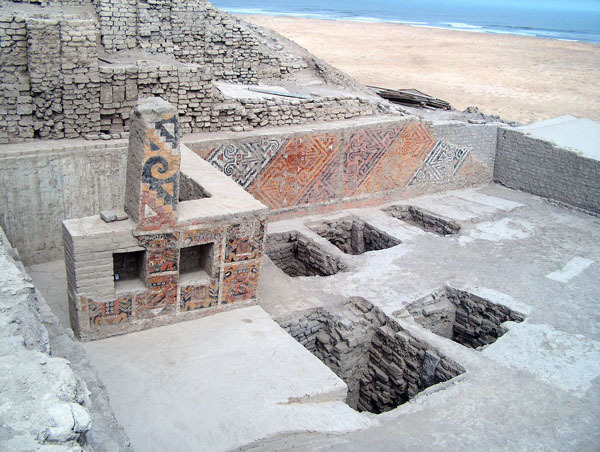 In the northwestern corner of the upper platform of the pyramid was a patio with five tombs, as shown below. 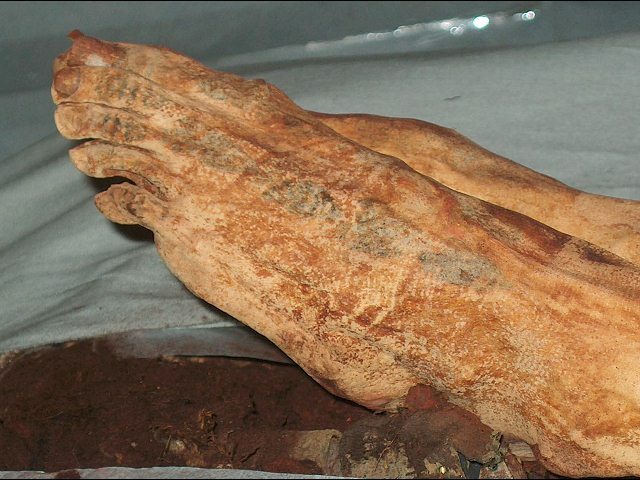 In 2005 the mummy of a very high status female was discovered in the largest tomb. 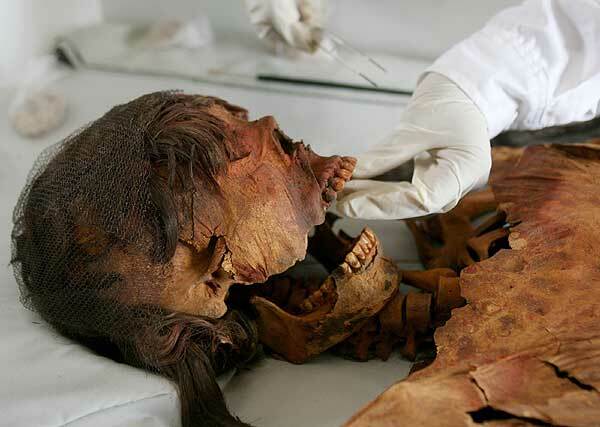 Known as the Lady of Cao, she died around 450 AD, in her mid to late twenties. 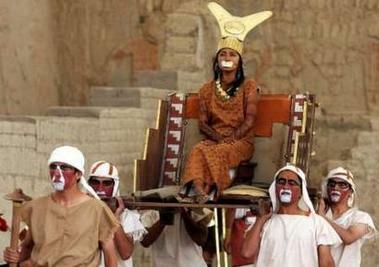 Later investigation concluded that she died of complications due to childbirth. 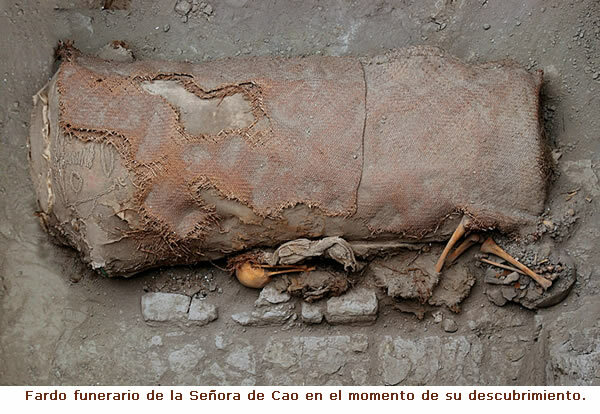 The next photograph shows the Lady of Cao’s very large mummy bundle as it was first found. 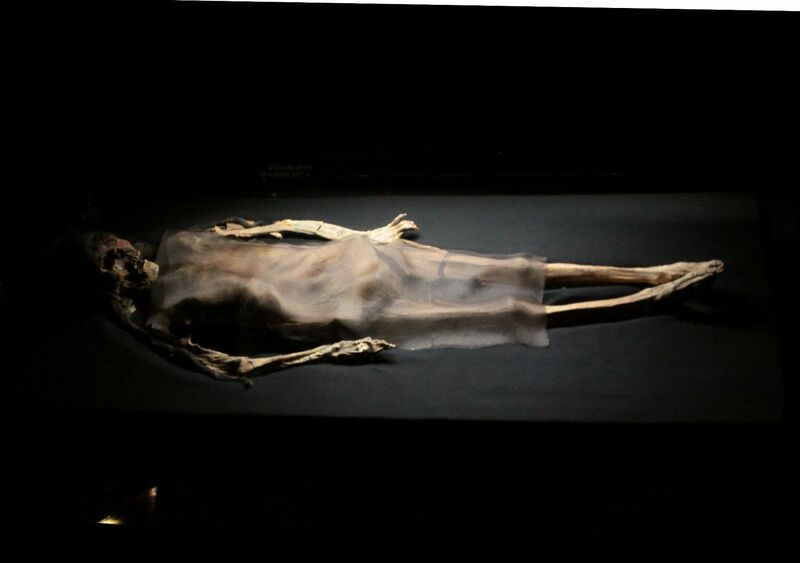 The mummy was wrapped in 26 layers of cotton fabric, and the bundle was covered with a cane mat. 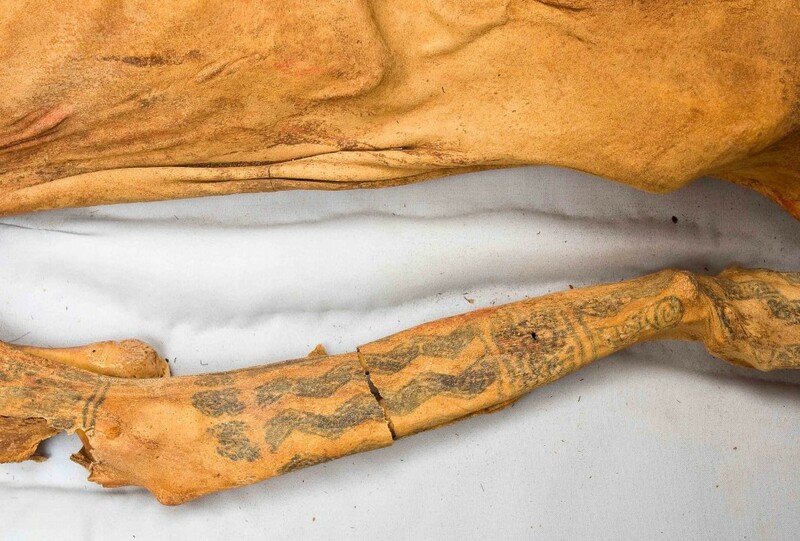 A large face was embroidered onto the bundle. 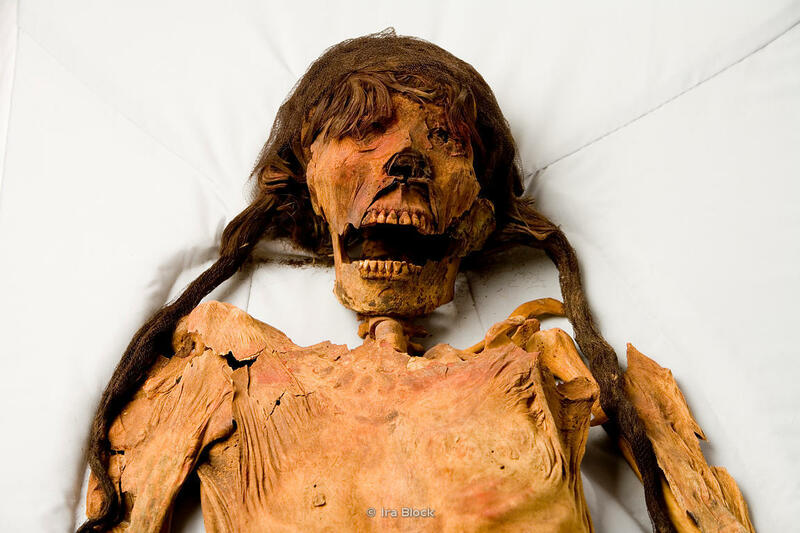 Next to the bundle was the skeleton of a teenage girl who had been sacrificed so that she could accompany the Lady of Cao to the afterlife. 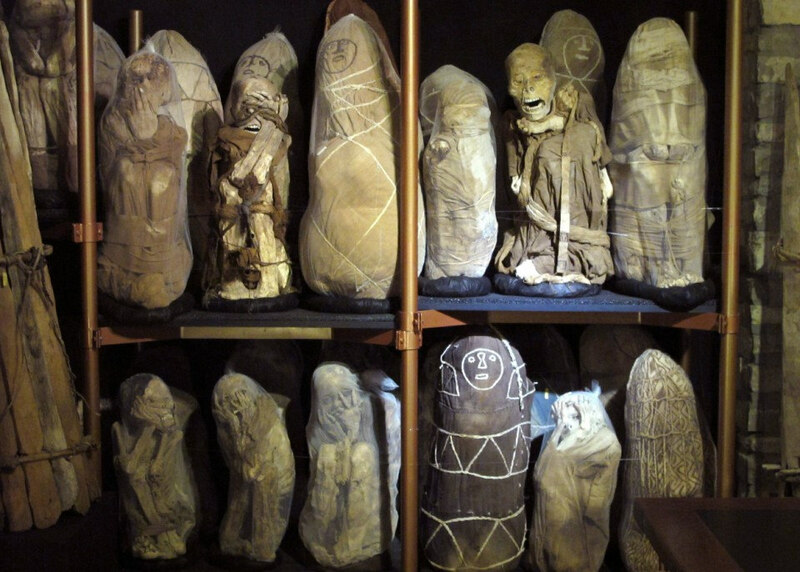 The same practice of embroidering faces onto mummy bundles can be seen in the mummy bundles below from the Chachapoya culture of the northern highlands of Peru. 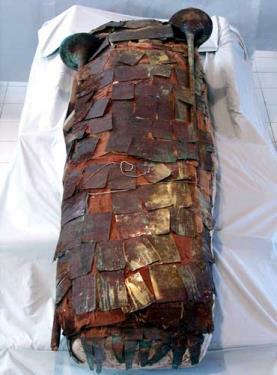 The next photograph shows the Lady of Cao’s mummy bundle after the outermost layers of cotton fabric were removed. 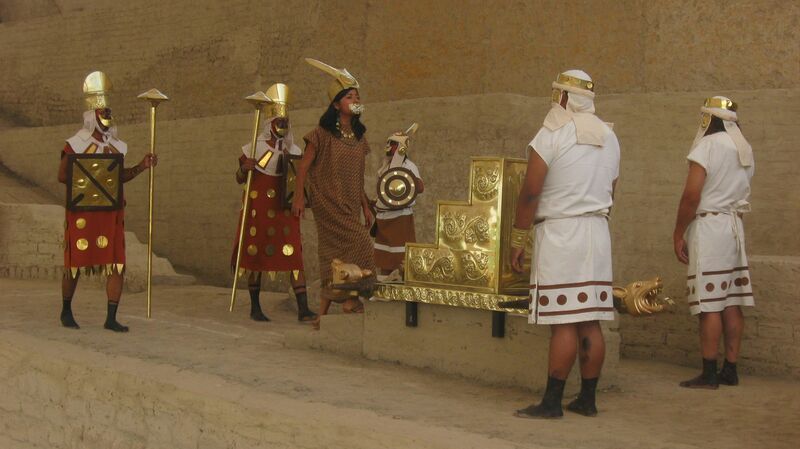 As shown, layer 6 contained golden copper sheets, golden copper crowns, and two large copper-covered wooden war clubs. 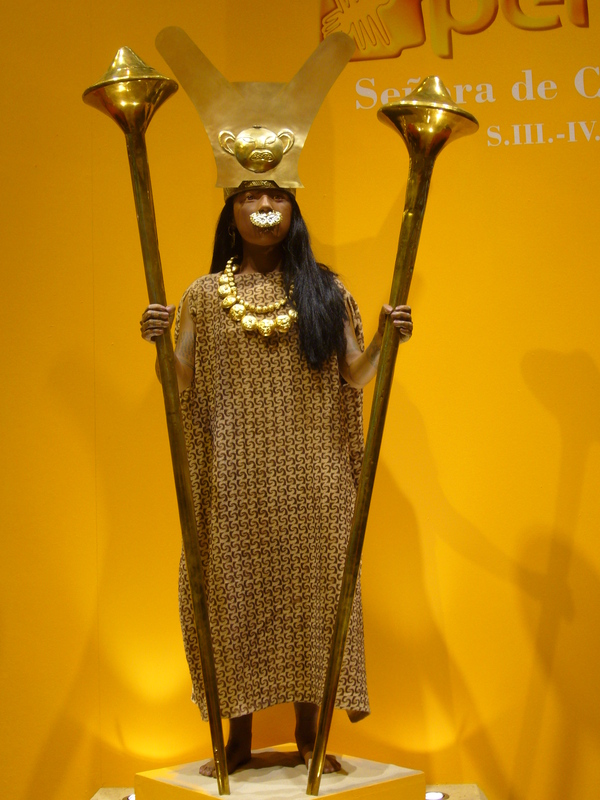 In the below replica of the Lady of Cao, she is portrayed as an Amerindian woman with dark brown skin and black hair. 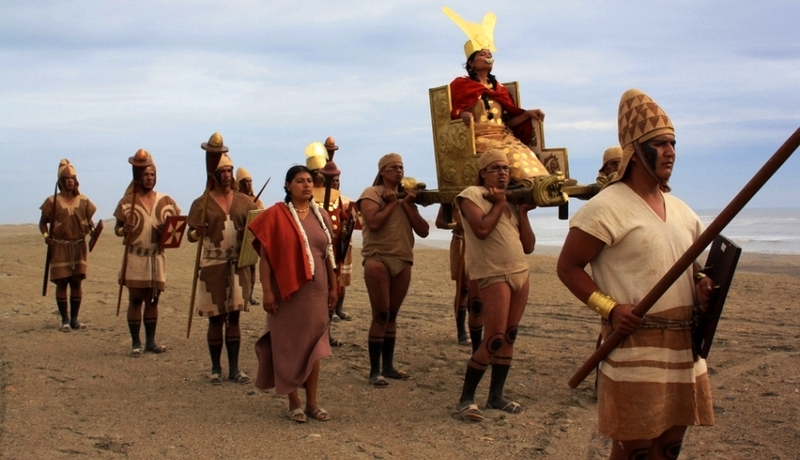 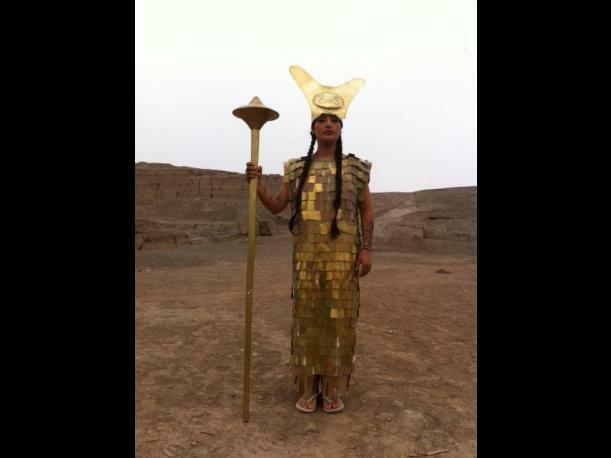 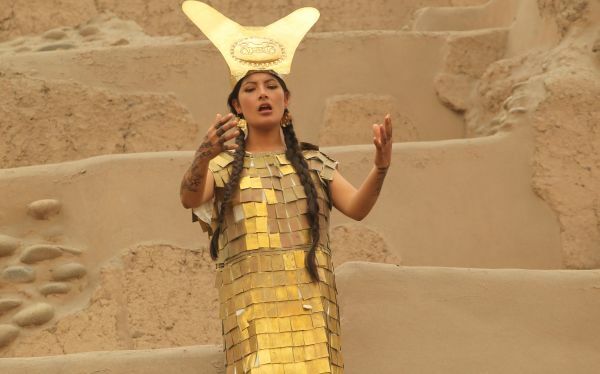 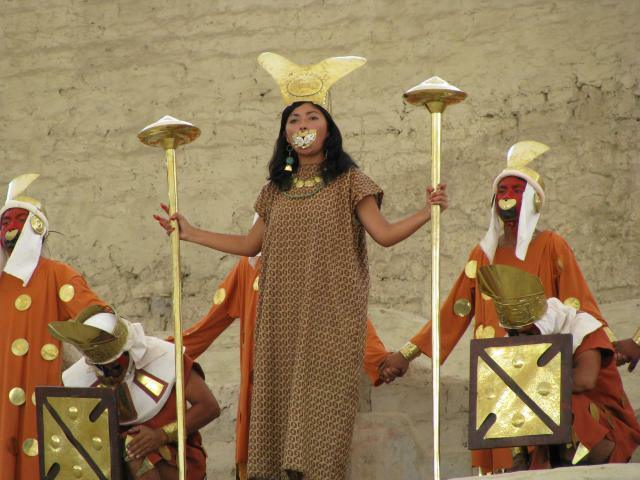 And as the next photographs show, reenactments of Moche ceremonies are performed in Peru in which the Lady of Cao is portrayed by brown-skinned, black-haired Amerindian actresses. 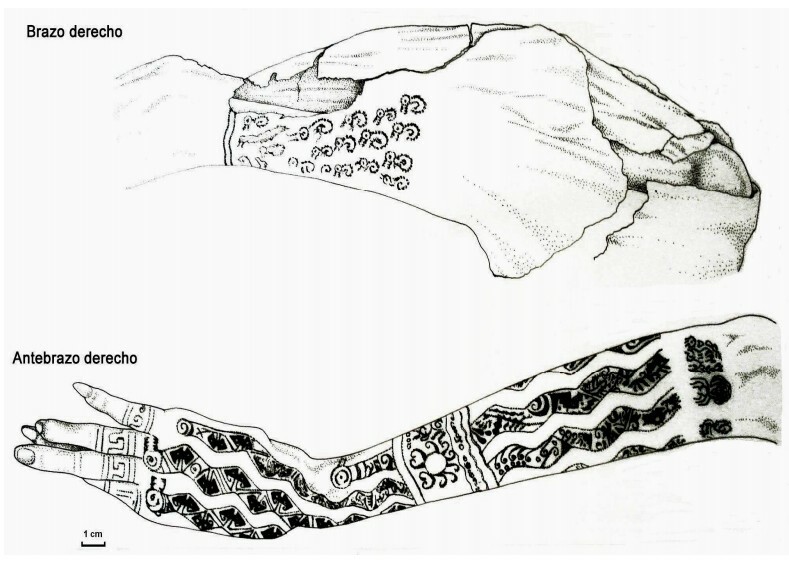 The above depictions of the Lady of Cao as an Amerindian woman are in fact fraudulent. 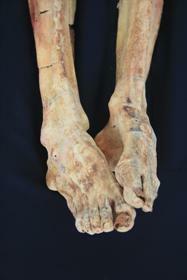 She was, in reality, a European woman, as the following photographs of her remains clearly show. 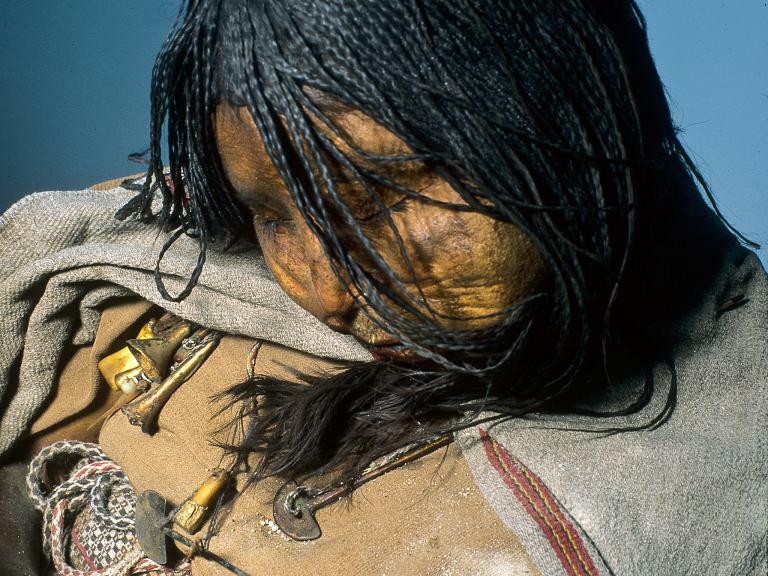 The below close-up of the Lady of Cao’s face shows that the hair falling over her right eye is brown European hair, and not black Amerindian hair. 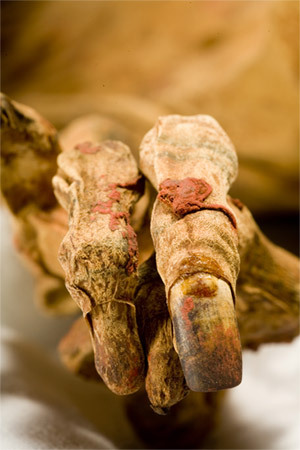 Note that the red discoloration on parts of the skin and hair is due to cinnabar that was applied to the body after death. 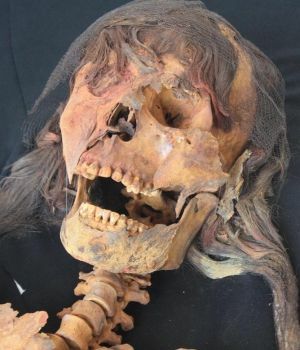 The next photograph of the Lady of Cao’s head shows that she had a cranial morphology like that of many European females, and unlike that of Amerindian females. 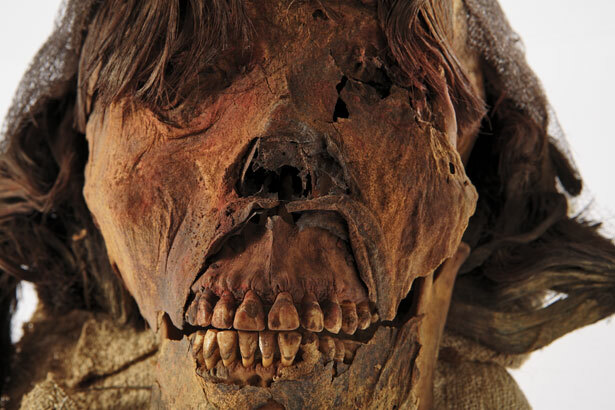 And next is a photograph of the Lady of Cao’s head from the side. 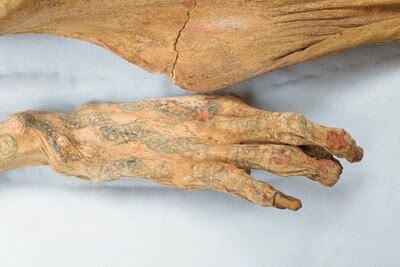 The following photographs of the Lady of Cao’s body, and parts of her body, show that she had fair white skin, much of which was covered with elaborate tattoos. 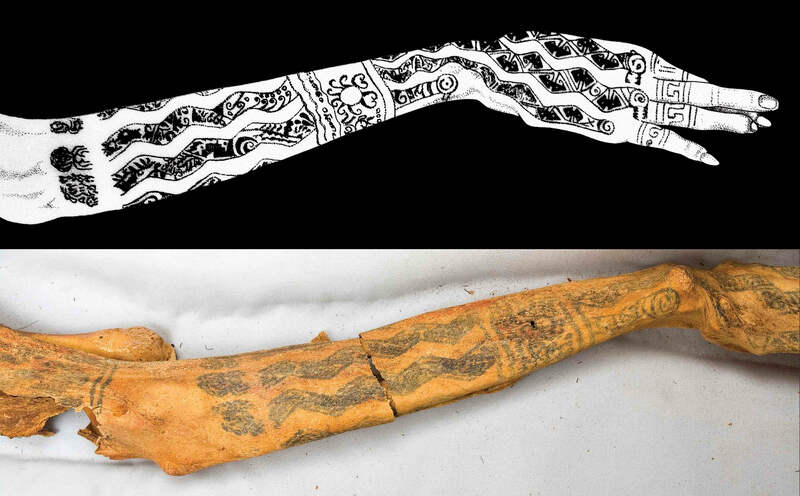 The next two images include drawings of the Lady of Cao’s tattoos. 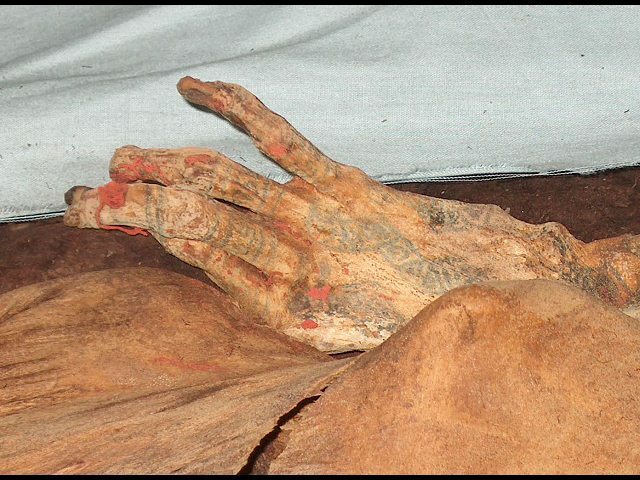 One can contrast the European physical features of the Lady of Cao’s mummy with the features of a mummy of a genuine Amerindian female. 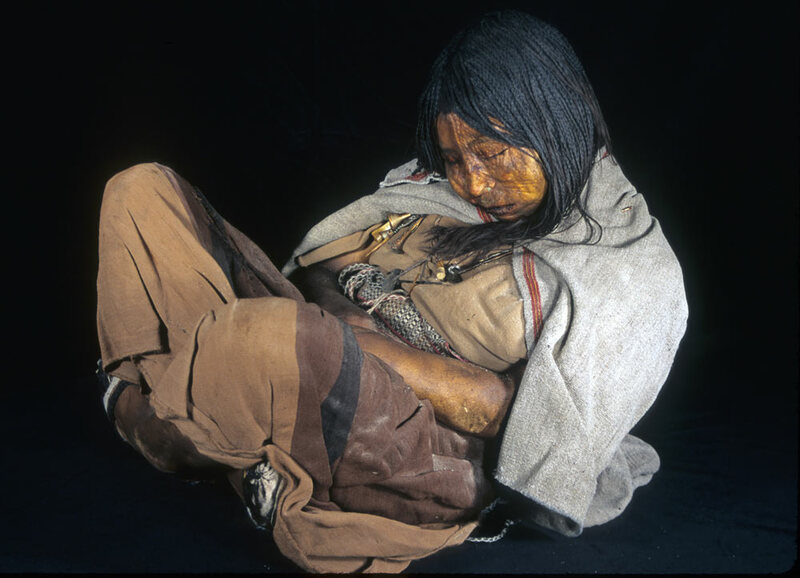 Below are photographs of the Llullaillaco Maiden, one of three children sacrificed by the Incas around 1500 AD, whose mummies were found in the Andes of Argentina in 1999. 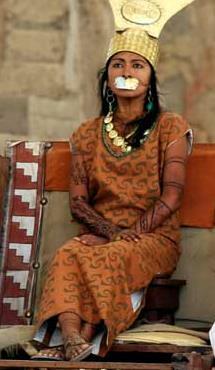 The photographs show her braided black hair, brown skin, and her large, round, and wide-faced Amerindian cranial morphology.